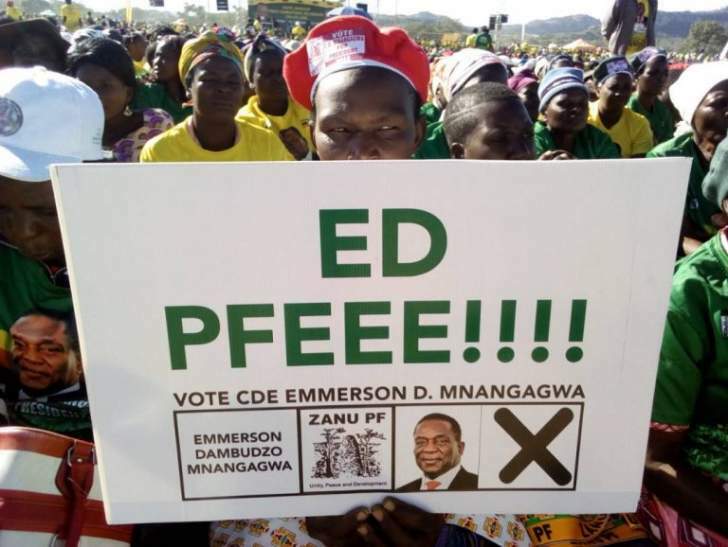 The Zanu-PF Youth League will this Friday host a braai at Chipadze Stadium in Bindura to celebrate President Mnangagwa and Zanu-PF's victory in the July 30 harmonised elections. Speaking at Chipadze Stadium, National Youth Commissar Godfrey Tsenengamu said preparations for the national youth celebrations were at an advanced stage. "We are expecting thousands of young people from all the country's 10 provinces to join us in celebrating our victory as a party and that of President Emmerson Mnangagwa. "We were waiting for the court processes to be finalised and for the President to be sworn in," said Tsenengamu. "Members of Parliament and councillors have been sworn in and the new Cabinet is in place. "We see it befitting as the youth league to gather and celebrate that victory of July 31. We are finalising on the preparations to ensure that everything is in place. "We are also here to formally inform the provincial leadership that this is the task at hand. "I am extending an invitation to all the young people in other provinces that there will be pomp and fanfare here in Mashonaland Central. "Mashonaland Central had the best result during the harmonised elections. We didn't lose any House of Assembly seat to the opposition parties. "We, therefore, saw it fit to gather and celebrate here in Mashonaland Central in recognition of the great job that they have done as we embark on a journey to empower the youths. "President Mnangagwa said we are now putting politics aside and economics ahead. "This is the beginning of a journey to uplift the youths and it is starting here in Mashonaland Central." "The province displayed its loyalty to President Mnangagwa and Zanu-PF party. "We are happy about the decision by the national youth league to have victory celebrations here. "We have faith in President Mnangagwa's vision to uplift the standard of living of youths," said Farando. "We are inviting the whole country."